(texte francais suit) St-James Church, 642 Main, Hudson Qc. 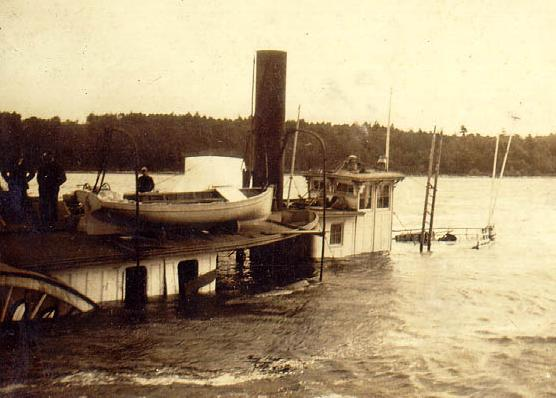 The Sinking of the S.S. Maude: the Hudson Historical Society is pleased to announce that the October public meeting will feature a presentation about the 1906 sinking of the S.S. Maude in Lake of Two Mountains. Robert Turenne, President of the Oka Historical Society, who has completed much research and has dove on the Maude, will talk to us about the events leading up to the accident and its aftermath. He will have photos and some video as part of his presentation. Please join us for what will certainly be a very interesting presentation. Eglise St-James, 642 Main, Hudson Qc. Le naufrage du S.S. Maude: la societé historique de Hudson a le plaisir d’annoncer que la réunion publique d’octobre comportera une présentation du naufrage en 1906 du S.S. Maude dans le lac des Deux Montagnes.